Gary and Lynn Clark have been members of the Mountaineers since their arrival in Los Alamos in 1985 to begin new careers at LANL; Gary in Software Engineering, and Lynn in Biomedical Science. They have been life and climbing partners since 1976, when they met at a slide show Gary presented on climbing in the Alps. Gary served as LAM Vice President and Climbing School Director twice, and as Revered Potentate of Presentation Technology (Audiovisual Geek) for many years. He was given Life Membership in 2001, an honor he will treasure. A few of his LAM trip reports are here. 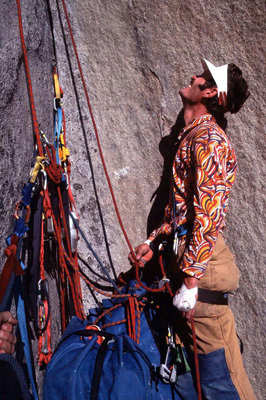 Gary began serious climbing in 1965 after accompanying an equally inept leader up a serious mountain route in Idaho, and realizing there were three choices: (1) Never do this again; (2) Get injured or killed doing this, or (3) Learn to do it right. After 10 years consuming the wisdom in "Freedom of the Hills," he was teaching others to climb and leading trips as director of the climbing school at Washington State University. Early climbs in that period included a week-long ascent of the NE Face of Mt. Victoria in Canada with the temperature hovering around -25F for the entire climb, a winter ascent of Mt. Rainier, and in 1974 he organized and led a team to the Cordillera Blanca in Peru, where they climbed three 20,000+ peaks. 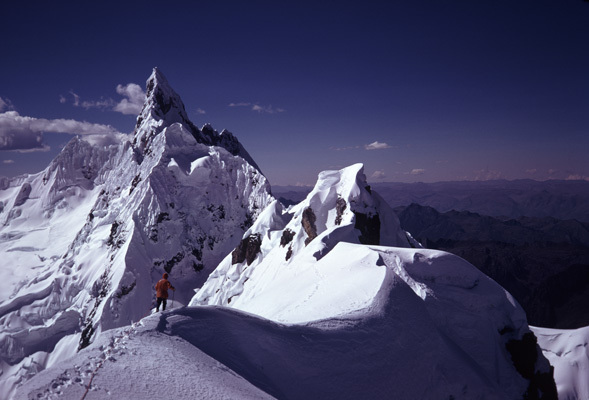 In 1977 the Soviet Union was entering the Glasnost period, and an invitation was extended to assemble the first American team to attempt the highest Soviet Peak, Pk. Kommunisma (7500m., now Pk. Garmo), located in Kirgizistan in the Pamir range of the Himalaya. 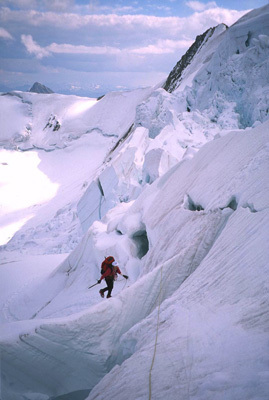 Gary served as technical climbing leader for this successful expedition via the challenging Nekrossov Ridge. 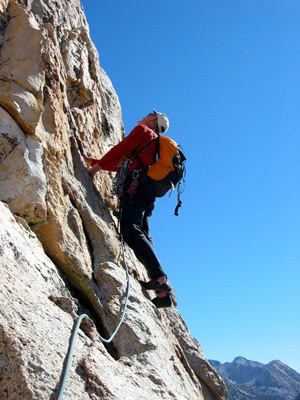 Living in California at that time while working at Sandia National Laboratories, Gary spent his hard-earned vacation time mostly in the Sierras, climbing peaks and rock routes in Yosemite Valley, in which he eventually checked off 52 routes. Among those were 3 ascents of El Capitan, the NW Face of Half Dome, Washington Column's South Face, and the Leaning Tower, all mixed climbs with bivouacs. His favorite haunts were always in the High Sierras, and he knew all of the named peaks of Yosemite on a first-name basis, after multiple ascents of many of his favorites, ski tours, and trans-Sierra hikes in this, his favorite mountain range. His favorite climbs have always been the classics, and he became a devoted classic bagger after Roper and Steck's "Fifty Classic Climbs of North America" was published. While attempting to climb as many of those as limited time and ability permitted, he decided to make the photographs and beta available to others on the web; thus the "North American Classics" project was born. 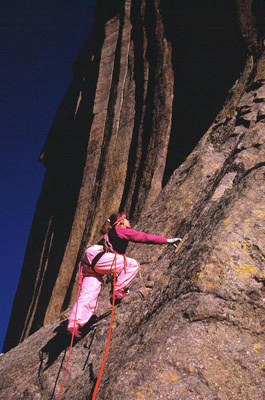 The list of climbs in the NAC collection gradually expanded with the help of the Web climbing community to 100 routes, all of which were documented in considerable detail in photos and route descriptions on a CD, then on the LAM Web site. In the course of the project, Gary climbed 72 of these routes, almost all with Lynn. In the course of collecting classics, Gary and Lynn made around a dozen trips to the Canadian Rockies, and a similar number to Alaska. The trips were not always successful, especially in Alaska, but nearly always worthwhile. The highlight of the Alaska years was a trip made with two partners from the ocean to the top of Mt. Fairweather and back. With a forced bivouac in a crevasse on top, and serious frostbite suffered by one of his team members, this proved to be the one of the biggest adventures of his climbing career. In a 40-year plus climbing career, the only major trip Gary wishes he could forget was an attempt on Pk. Lenin in the Soviet Union. He contracted a contagious illness in Camp 2, had to be helped to Base Camp, then spent 10 days staring at the ceiling of a tent. Lynn reached the magic 20,000' level on this trip, though, so it wasn't a total bust. Another trip took them to the far eastern Himalaya, where they did the second ascent of Bokra II in China's Szechuan Province. Other international climbs have included a month-long expedition to the St. Elias Range, entailing 75 miles of glacier travel and an ascent of Mt. Kennedy, and to Africa for Kilimanjaro (with Chris Horley). Two seasons in the European Alps netted the Eiger, a traverse of Mt. Blanc via the Brenva Spur, the Weisshorn, the Duforspitze, the North Face of Tour Ronde, le Petit Capucin, le Grepon East Face, and others. Besides climbing, the two enjoy bicycling, river rafting, hiking, and photography, especially of wildlife. Occasionally they come up with a more ambitious adventure, such as traveling by muscle power (with club member Mark Zander) from Badwater in Death Valley to the summit of Mt. Whitney in winter. For the most part, though, they simply enjoy day hikes and bike rides. Longer biking adventures together have included a 5-week tour across England, France and Spain, a circumnavigation of Austria, a ride across their current home state of Nevada, a "double-century" (200 miles in a day) circuit of the Jemez Mountains, and many "century" rides. 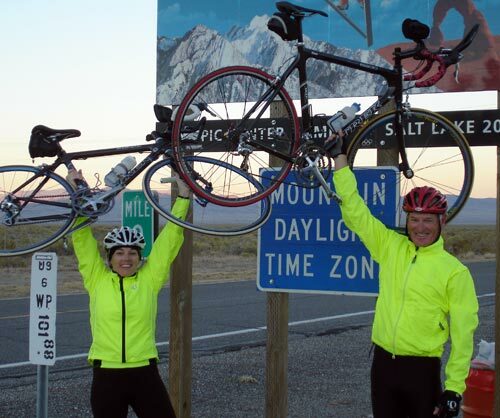 The Clarks retired from LANL in 2004, and can now more easily pursue longer-duration adventures; most recently they rode bikes across Canada as a self-supported relay team from the Pacific Ocean to the Atlantic, taking 49 days to complete the 3800 miles. Another game they have enjoyed was attaining the highest points of the United States; in 2007 they completed their 49th State. (The reader is left to guess which one remains.) Now making their home in Nevada, they have embarked on reaching the high points of the counties, recognizing that the most pointless pursuits are often the most fun, such as the 14ers of Colorado, which they completed in 2002. They have rafted many minor and several major rivers together, always on self-organized and equipped trips. Highlights include the Tatsenshini-Alsek system in the Yukon and SE Alaska, the Nahanni in the NW Territories, and the Koyokuk in the Brooks Range. Now in his 60s, Gary is scaling back the big physical adventures somewhat, replacing them with more serious photographic adventures; an example is a tour of Ecuador in 2008 to photograph tropical bird species. No matter where they travel, they'll always remember that some of their best times have been spent with the Los Alamos Mountaineers.